With almost 40 years experience in designing, building and installing we’ve learned a thing or two about kitchens be they classic traditional or modern contemporary. 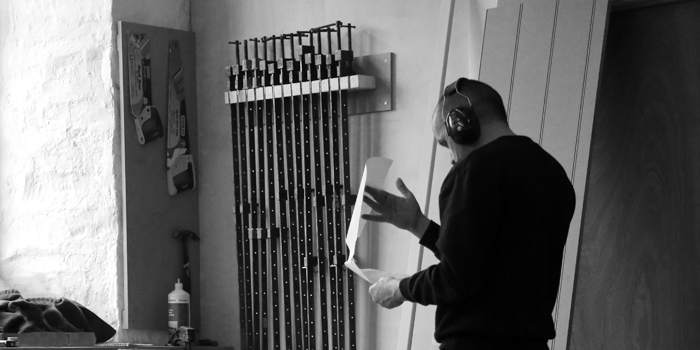 Throughout this time one thing has remained the same and that it our strong commitment to quality. Whether it’s materials, tools we use, finish or even the appliances, we always insist on optimal quality and settle for nothing less. Kitchen and architectural joinery design is a wonderful all encompassing discipline and we are fortunate in that we have had Pat at the helm for almost four decades guiding us in the right direction to ensure that we continue to provide some of the finest kitchens in the country. We have worked in a very wide range of types of property from architect designed new builds to old heritage sites, listed buildings to holiday homes and have had some unusual requests over the years. Traditional and classical design is not something you can simply ‘have a go at’ and you need to understand joinery construction and the rules and pitfalls of classical design detail, scale, proportion, joints and shadow. Generally at Barnes, we are commissioned to design traditional classical bespoke kitchens and architectural joinery directly by the homeowner. We rarely work with other designers as we have found that this doesn’t produce the end result that either the client or we are happy with. In more recent years the trend has moved towards modern and contemporary kitchen projects which is equally as challenging as traditional kitchen design. These are typically requested by younger clients who prefer to focus their attentions on pushing the boundaries of contemporary design. 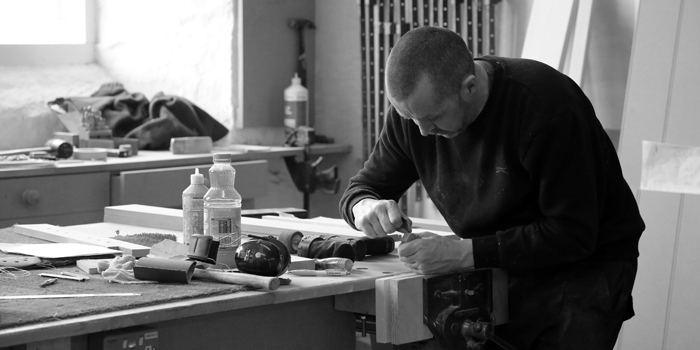 Contemporary joinery tends to be less involved and therefore quicker to design and make by hand. As an example a contemporary kitchen is likely to have flat doors with no handles, whereas a traditional kitchen might have framed or raised panel doors, additional mouldings and all manner of additional detail that requires more time. We are equally happy in modern or traditional kitchen design and as we work as part of a well honed team we are able to pool our collective knowledge allowing us to make either work. Our team is used to handling creative front-end design from concept or idea stage through draftsmanship and on to production. 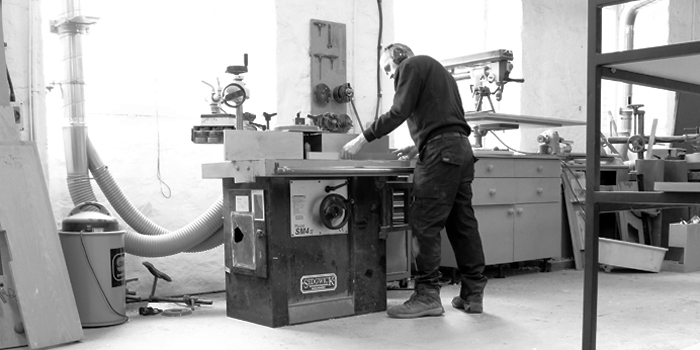 Most joinery workshops are used to handling fast build pre-designed projects with lots of machined work, minimal overheads and little contact between the designer, the draughtsman and the end users of the kitchens. We on the other hand are the opposite where we maintain close contact amongst ourselves and the client to ensure that every aspect of the project is considered in detail and that the client’s expectations are met at every point. This approach allows us to maintain close connection with the client their emotions and their kitchen dreams which remove the risk of disappointment or dissatisfaction. Our approach is very rare, as it is not often that interior designers have the knowledge to design traditional joinery which is at the heart of every Barnes kitchen. We specialise on the specifics of traditional joinery and its use in kitchen design. The team effort is reliant on us working closely together and providing harmonious results that please our clients. For this reason we are very fortunate in that our team have mostly worked together for decades and as such work as a well oiled machine most of the time ! It is for this reason that the reputation of Barnes of Ashburton strengthens year on year and we are able to continue designing and creating kitchens the only way we know. Clients come to us because they want the specialist knowledge that we have amassed that allows us to bridge the gap that can sometimes exist between architects, interior designers and traditional joiners. For this we are very grateful as we love our work and get genuinely excited about each new project and the challenges that it brings the team. 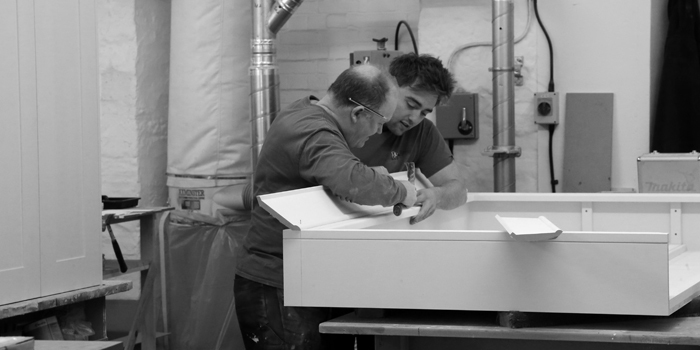 Our access to Pats extensive experience always give us the confidence to bite off each new project knowing that between us we have the collaborative skills to create a kitchen that excels in form, function and style. We don’t just make kitchens ! Serving the South West and Home Counties.